I too am MR obsessed. Ask anyone, he’s my hero. If you haven’t you should read some of the biographies about him. You will love him as a person even more. I had lunch with Mr. McFeely once and he is just as nice and smart as Mr. Rogers. 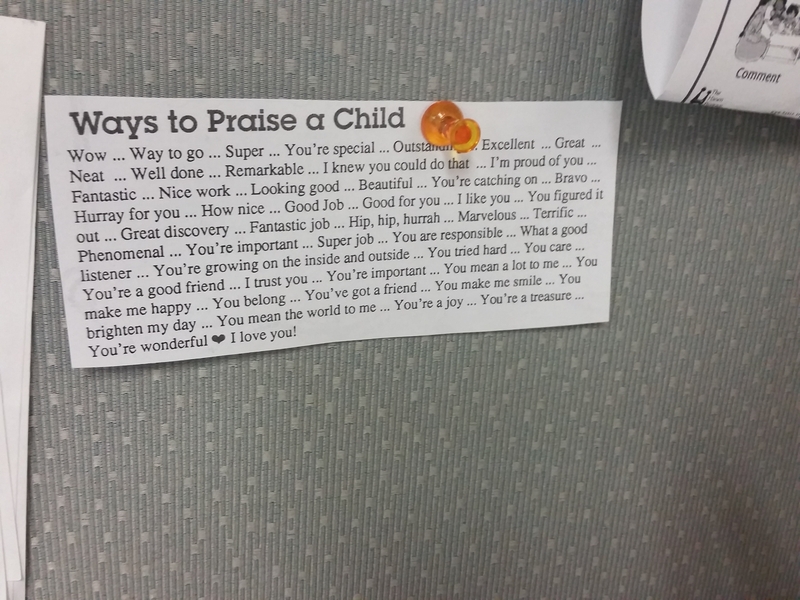 “Ways to Praise a Child” is in the Spring 1992 issue of Neighbors in Childcare: http://www.neighborhoodarchive.com/images/publications/newsletters/neighbors_child_care/1992spring.pdf. I found the link, and your blog, with a quick google search. I thought I was obsessing about Mr. R, but I never even bothered to read the newsletters :). I was channeling all my Mr. R research into good thoughts and a themed tea-party, but a flannel board is a great idea! I would love to use your document for a storytime activity at my library – thank you! 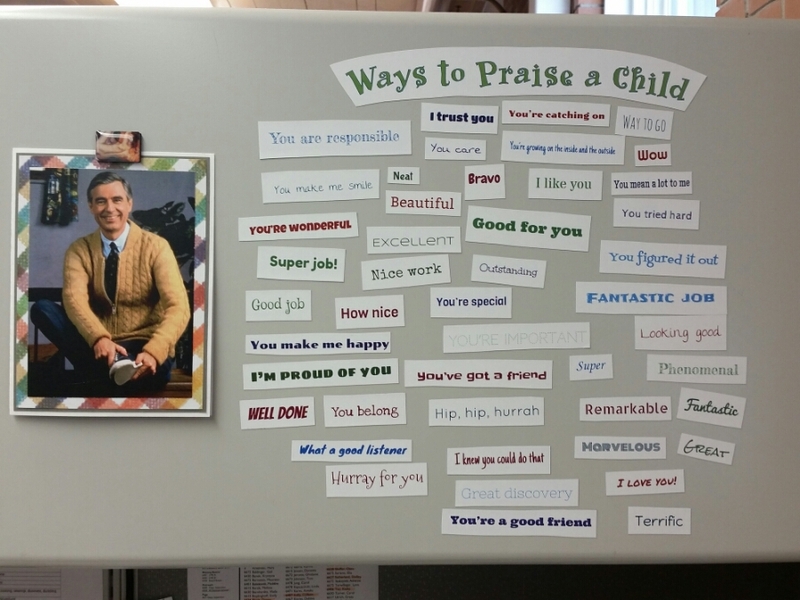 We work with our local PBS station’s Ready to Learn program – their coordinator will be thrilled to hear of your Mister Rogers’ obsession. THIS IS SO MUCH AWESOME! Thank you so much for sharing! Thanks Erin! The pattern is in the shared gdoc folder. I would *love* to use your document (hafuboti@gmail.com)! I think I might print them out on magnetic paper (I didn’t know that existed) and put them on our whiteboard near our activity tables all throughout the summer. Maybe make a “Mister Rogers Super Hero” to go with it…something about being a hero to kids, etc. You’ve got my mind percolating!!! Thank you so much for sharing your new (wonderful) obsession.